The inaugural Smart Cities Miami Conference, hosted last week by the School of Architecture and the Center for Computational Science (“CCS”), brought industry visionaries, technology experts, government planners, and the public together to focus on the “disruptive power” that the mobilization of new technology will have in our cities and on our lives. The forum for cutting-edge research and interdisciplinary perspectives was designed to connect UM and the larger community of entrepreneurs and innovators who are rapidly reinventing Miami as an incubator for tech start-ups with the development and planning agencies in the public and private sectors who are guiding the evolution of one of the fastest-growing cities in North America. The keynote speaker, Antoine Picon, the director of research at Harvard Graduate School of Design and an expert on the Smart City phenomenon, talked extensively about the changes brought to cities and architecture by digital tools and digital culture as well as the need for technology to embrace sociocultural issues. He emphasized that the city of the future will combine human with artificial intelligence and that from this, a new awareness will arise. In an interdisciplinary collaboration, Joel Zysman, CCS’s director of Advanced Computing, and Jean-Pierre Bardet, dean of the College of Engineering, led discussions about transformation through datafication, environmentally sustainable technologies, innovation, artificial intelligence, and the best uses of technology solutions. During the second day of the conference, a Zenciti Workshop, a multidisciplinary team led by Dean el-Khoury examined and discussed a project for a smart city, designed from the ground up on a site in Mexico’s Yucatan, just outside Merida. Zenciti will illustrate a customized city on a unified platform, serving as a prototype of the future. As Picon suggested, every city, even if not yet identified as a “smart city,” needs a plan. Zenciti is a project for a smart city in Yucatan designed from the ground up by an multi-disciplinary team based at the University of Miami. The workshop introduces the project for the first time to experts, entrepreneurs, and potential industry partners for input in the implementation process. Dr. Picon is the G. Ware Travelstead Professor of the History of Architecture and Technology and Director of Research at the GSD. He teaches courses in the history and theory of architecture and technology. He is also Director of Research at the Ecole Nationale des Ponts et Chaussées in Paris. Trained as an engineer, architect, and historian, Dr. Picon works on the history of architectural and urban technologies from the eighteenth century to the present. He has published extensively on this subject. His three most recent books are dealing extensively with the changes brought to cities and architecture by the development of digital tools and digital culture. Digital Culture in Architecture: An Introduction for the Design Profession (2010) offers a comprehensive overview of this important transition. Ornament: The Politics of Architecture and Subjectivity (2013) focuses on the “return” of ornament in digital architecture to further the investigation. Finally, Smart Cities: A Spatialised Intelligence (2015) discusses its impact on cities. Dr. Picon has received a number of awards for his writings, including the Médaille de la Ville de Paris and twice the Prix du Livre d’Architecture de la Ville de Briey, a well as the Georges Sarton Medal of the University of Gand. In 2010, he was elected a member of the French Académie des Technologies, and in 2015 an associate member of the French Académie d’Architecture. The Datafication and the City discussion panel examined the transformative power that data have to help make informed decisions when designing city environments, allocating resources, attracting investments, and engaging with the public. 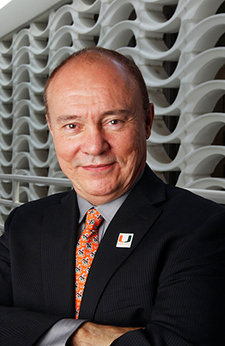 Jean-Pierre Bardet joined the University of Miami as Dean of the College of Engineering in August 2015. His research interests range from earthquake engineering and tsunamis to geomechanics, civil infrastructure systems, and megacities. Prior to UM, Bardet served as Dean of the College of Engineering at the University of Texas at Arlington, where he later founded and directed the Urban Water Institute. Before joining UTA, he was professor and chair of the Sonny Astani Department of Civil and Environmental Engineering at the Viterbi School of Engineering of the University of Southern California, where he founded and directed the USC Center on Megacities. Originally educated in France, Bardet received his M.S. and Ph.D. degrees from the California Institute of Technology. Widely published in scientific journals, he is the author of the textbook Experimental Soil Mechanics, and the recipient of awards from numerous scientific organizations, including the Texas Academy of Medicine, Engineering, Science, and Technology; the National Academy of Engineering; and the National Science Foundation. 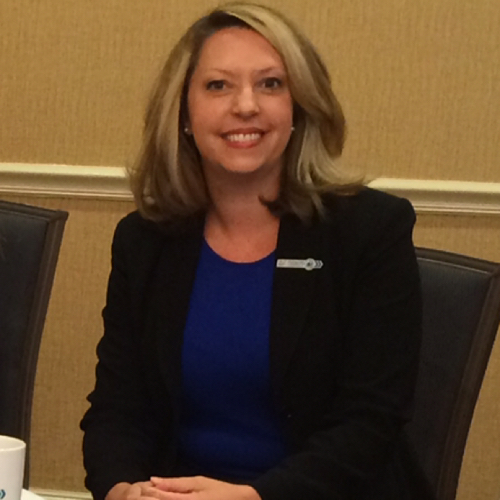 Amy Knowles joined the City of Miami Beach as the Deputy Resiliency Officer in January of 2016. Her primary area of focus is in resiliency planning. Key responsibilities include the citywide Miami Beach Rising Above Resiliency Strategy and the comprehensive Greater Miami and the Beaches 100 Resilient Cities award. With over 18 years of experience in large complex government organizations, Ms. Knowles previously served as the Structural Innovation Manager for the City of Fort Lauderdale. There she directed strategic planning, performance management, process improvement, and ISO 9001 quality management system implementation. Accomplishments include leading roles in developing Fast Forward Fort Lauderdale: Vision Plan 2035 and developing Press Play Fort Lauderdale: Strategic Plan 2018. Ms. Knowles began her career at Miami-Dade County, where she coordinated GreenPrint, the County’s first sustainability plan. Woodrow Pattinson, PhD | Senior Scientist, Air Quality Ltd.
Woodrow Pattinson has worked on urban air quality exposure projects for close to a decade. His PhD research focused on the spatial dispersion of traffic emissions across low-income communities bisected by major highways. He has since held postdoctoral fellowships at Canterbury University’s GeoHealth laboratory in Christchurch, New Zealand, and at the Atmospheric Laboratory for Urban Air Pollution and Climate, Federal University of Technology, Paraná, Brazil. 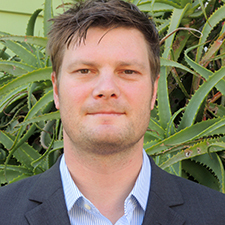 He currently manages two city sensor networks; one for the Sensing Cities project in Christchurch city, which is undergoing a major rebuild following a magnitude 6.3 earthquake, and another in urban street canyons in Auckland city. Future work aims to collaborate with UM SoA and University of Colorado at Boulder to set up a smart city sensor network across north Miami to explore urban design aspects in relation to traffic emissions and environmental justice across the city fabric. Philip Peters is a business development thinker and analyst. He uses an eclectic approach to combine creative and analytical approaches to spur economic change. His work focuses on the design of digital business development and new economic development strategies. Through his Zagada.com market research and advisory practice he has served over 50 Fortune 500 companies and evaluated over 300 cities in 75 countries. As CEO and Co-Founder of CitiQuants Corporation, a Zagada spin-off Startup, he’s collaborating on building a disruptive technology model (platform) that price, hedge and trade city stocks. Currently, CitiQuants provides a Location Analytics Platform driven by its eKlekos recommendation engine. The platform enables corporate expansion pricing, for talent and operational cost, on a city-by-city basis in seconds. It also provides a Data Driven Economic Development (DDeD) publishing tool that allows cities to dynamically publish their City Decisional Data. Philip is laser focus on driving “perceptive shifts” on cities to massively transform economic and social outcomes. Phillip has modeled key developmental concepts, that includes: Story Study™, MetaCare™, Digital GNP or (dGNP)™, Intrinsic City Assets™, and Cultural Domain Acuity Model (CDAM)™. Over the last decade, Philip has authored 18 global location studies, 2 white papers and 4 books. He’s been appointed and currently serves as a High Level Advisor to the United Nations Global Alliance for Information Communication and Technology (UN GAID), executed global M&A briefings for the Economist Group and advises the World Bank’s IFC Group on venture investments. Dr. Roy’s research and teaching interests center on Climatology and GIS. 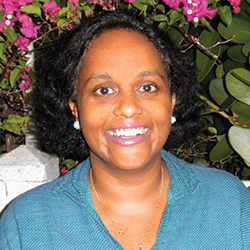 She utilizes various geospatial research techniques to examine the spatial patterns of long term trends in climate phenomena at various spatial scales. One of her recently concluded research projects include the analysis of the development of Urban Heat Island and air pollution in New Delhi, India. Also, she has recently started examining the spatial patterns of impacts of climate change related processes on women and girls in the Global South. She has also recently started to apply various geospatial techniques using long term data to better understand our immediate surroundings–the City of Miami. 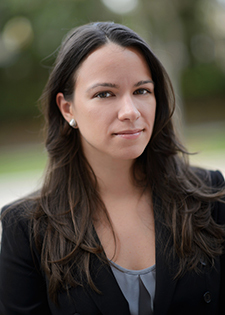 Two of her recently concluded projects include the analysis of spatial patterns of traffic accidents and crime in Miami-Dade County. Both of these projects were done in collaboration with students. 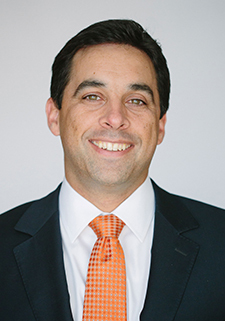 Mike Sarasti is the City of Miami’s Chief Innovation Officer, a new position charged with driving innovation, process improvement, collaboration, and customer service across municipal government. Throughout his career serving Miami’s residents, Mr. Sarasti has been instrumental in the advancement of civic services, 311 technology, and open data. 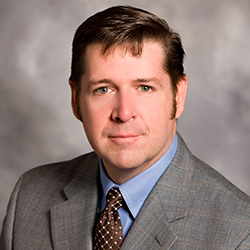 He has more than a decade of government experience evaluating government processes, analyzing performance metrics, understanding user needs and improving the usability of resident services. Over the years, he has built relationships with key partners such as Code for America, the White House’s United States Digital Service (USDS), the Knight Foundation, various local universities, and others throughout Miami’s civic tech community. On his personal time, he also writes, produces, and performs in the electro-experimental-rock duo Raker. Technology and the City was an opportunity to dive into applications in the areas of the Internet of Things, Artificial Intelligence, and environmentally sustainable technologies, in the context of urbanization. Natalia is an organizational psychologist and strategist focused on merging innovation, entrepreneurship, and community impact. Her passion hinges on creating communities that are true ecosystems, most recently by leading the expansion of the Cambridge Innovation Center (CIC) to Miami. CIC is the oldest, most successful, and largest innovation hub in the United States, espousing particular philosophies for economic impact and community engagement. In Miami, CIC is building an innovation district that connects the health district with the rest of the innovation corridor—a massive and transformative undertaking that is already having an impact. From this perspective, she is also working to launch a handful of truly innovative programs for Miami, ranging from the first/only fintech accelerator in South Florida, to the first-ever shared wetlab research facility across several universities, to official soft landing programs that incentivize growing companies to come from Latin America to Miami. Prior to that, she served as the Chief Innovation & Technology Officer for a nonprofit focused on Cuba. In addition, Natalia is the Founder of Awesome Foundation MIAMI, the Vice President of LatAm expansion of the Latino Startup Alliance, and is a member of the World Economic Forum’s Global Shapers community. Miguel has broad experience in the energy markets, collaborating in projects from the renewable & distribution level, to the research and innovation. 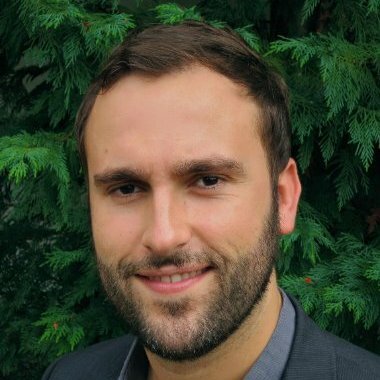 He has collaborated in many different R+D projects related to electro mobility and optimal interactions between the TSO-DSO, such as: Green eMotion, SmartNet-, and Smart City-Barcelona. Previously, within ENDESA, he was project manager of Solar Photovoltaic projects , ranging from small-scale grid connected systems to multi-megawatt power plants; and Business developer for the ESCO department (energy efficiency based on public lighting and e-mobility). Miguel is passionate about interacting ICT technologies with energy services in order to improve urban sustainability and resiliency. He is an Associate Professor at University La Salle Business Engineering School in the Postgraduates of Smart Cities and Smart Grids, and holds a degree in Electrical Engineering (UPC), and Masters in Industrial Design (UPC) and Project Management (IL3). He also holds a diploma on Digital Fabrication named Fab Academy from MIT’s Center for Bits and Atoms. AdMobilize / MATRIX Labs; a “machine intelligence” technology company reimagining humanity’s relationship with the physical world. With a brilliantly diverse team of 35, AdMobilize is being recognized as one of the most promising companies revolutionizing the convergence of artificial intelligence, hardware, and software. 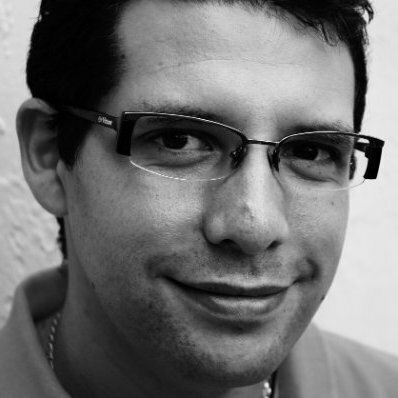 Rodolfo is a serial entrepreneur productizing complex technologies. Rodolfo and his brother won on “Shark Tank’s” first season with MyTherapyJournal. Prior to “breaking loose” from the corporate world, he led disruptive innovations at The Breakers, obtained his MBA, and was a stock broker for Morgan Stanley. Rodolfo is fluent in 4 languages, has visited 26% of the countries in the world, is an avid athlete, and loves the potential of human beings to achieve the (im)possible. Darren Ware, Sr. Business Development Manager, Cisco Systems, Inc.
Darren Ware leads Cisco’s Smart Cities efforts in Latin America. He works with governments, public services agencies, and Cisco partners to increase the operational effectiveness and improve citizen services. His focus areas include understanding macroeconomic and industry trends impacting enterprise technology, opportunities in emerging cities, and the connection between urbanization and technology consumption. Ware brings global perspective and cultural awareness from broad on-the-ground experience, including living in Spain, Argentina, and Brazil. He speaks Spanish and Portuguese and has an International MBA and a BA, both from the Univ. of South Carolina. He recently spoke at Barcelona Smart City Expo, Smart City Expo Puebla, Emerge Americas Miami, and Cisco Live Cancun. Max Zabala, Cofounder & VP of Commercial Business Development, is an architect and urban planner with more than ten years of experience. In 2012 he founded Oski Studio, an urban planing design firm. Prior to launching Oski Studio he worked for Duany Plater Zyberk as a project manager, participating in over 60 different projects in several countries around the world ranging from private development design to new municipal code drafting. After several years of analyzing and drafting zoning codes, Max developed Zonar, a zoning application that allows planning and real estate professionals to prepare zoning feasibility studies with a few clicks of the mouse. 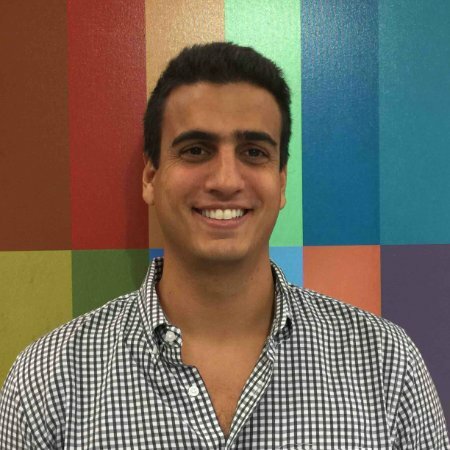 Max received a Master’s in Architecture from the University of Miami and a BS in Architectural Engineering Technology from Wentworth Institute of Technology. 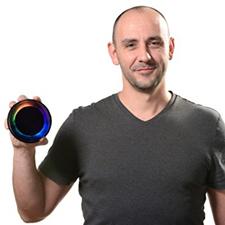 An active member of the advanced computing community, Mr. Zysman has more than 20 years experience in advanced computing systems, and application design and implementation, and specializes in storage design, data management and movement, and distributed computing in bioinformatics and life sciences. 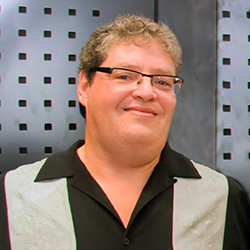 He has held positions in Research centers at The Scripps Research Institute (Florida) and in Industry at Merck Research Labs, Silicon Graphics Inc., and Cray Research Inc. Mr. Zysman’s particular interest in bringing advanced computing technologies to non-traditional user communities, led him to start a joint research program with the Frost School of Music in Computational Musicology and Music Engineering. He has published numerous articles on IO subsystems, as well as advanced computing applications in research. The New Services & Experiences panel concludd the panel discussions from the point of view of the smart city residents, examining new experiences that have now become possible, and examining how disruptive technologies have altered the way that we interact with our urban environments. 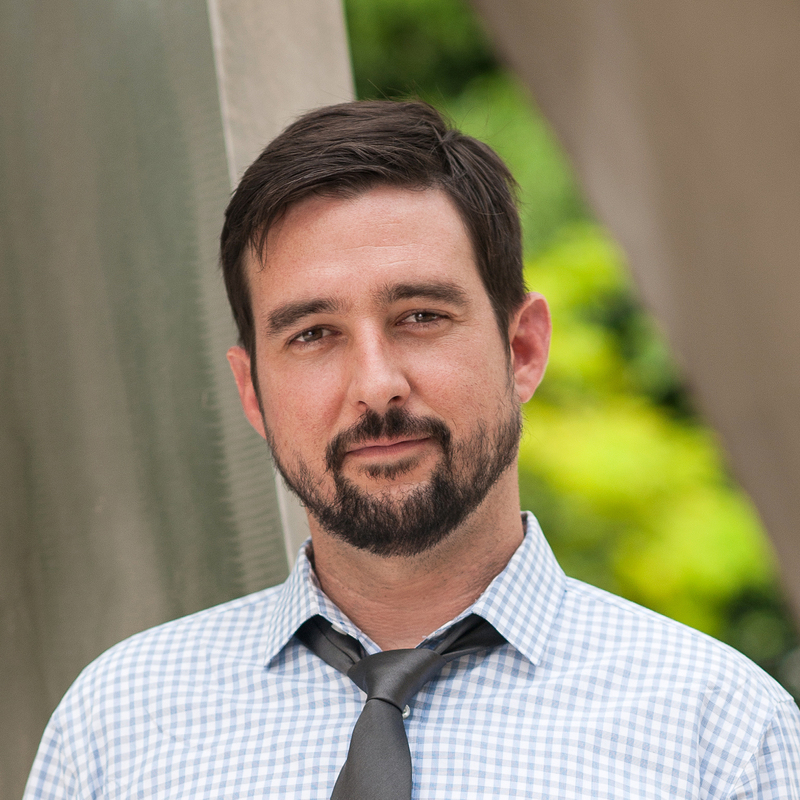 Matt Haggman joined Knight Foundation in 2011. In his role as Miami program director, Haggman leads Knight’s communities program in South Florida and launched the foundation’s initiative aimed at connecting and propelling Miami’s emerging entrepreneurs and startups as a way of building community. Previously, Haggman was an award-winning journalist covering issues of local and national importance. He initially covered legal affairs for the Daily Business Review in Miami before moving to the Miami Herald, where he spent nearly eight years covering real estate and local politics, and worked as an investigative reporter. Haggman won numerous awards for his work, including a Gerald Loeb Award, the highest honor in business journalism. In his last two years at the Miami Herald, he twice won the President’s Award, which honors the best work in the McClatchy newspaper chain. In his last full year as a journalist, the Miami New Times named him as the Best Miami Herald Reporter in its annual “Best of Miami” awards. 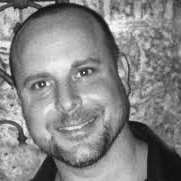 Haggman serves on the boards of Endeavor Miami, New World Symphony, and The LAB Miami. He is co-chair of the Beacon Council’s One Community One Goal initiative, along with serving as an advisory board member of New Leaders Council Miami and The Miami Foundation’s “Our Miami” initiative. He is also a founding member of TEDxMiami, which has presented programs to sold-out audiences each of the last four years. Haggman is a longtime volunteer with Big Brothers Big Sisters of Greater Miami. – Functions: Marketing, Business Development, Product Development, Product Strategy, Business Strategy and Consumer Behavior. – Domains: Consumer Internet, Mobile Payments, e-Commerce, Marketplaces, Consumer Products, Retail/Shopping, Start-ups. Anayda has over 30 years of experience in the Information Technology industry in Latin America. She possesses strong multi-country and multicultural experience. Currently, she is the General Manager of Microsoft’s Public Sector Organization in Latin America. In this role Anayda is focused on providing end-to-end solutions that transform institutions and individuals—in education, government, healthcare, public safety and security. Lead Digital Transformation for Public Sector is top priority for Anayda. She is working with governments and institutions across Latin America creating cloud service solutions and capitalizing on the innovation delivered with Industry scenarios. Her organization provides best-in-class platforms and productivity solutions for a mobile-first, cloud-first world. 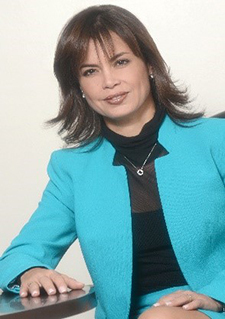 As part of her career at Microsoft, Anayda was also responsible for Microsoft Business Solutions in Latin America. In that role, she provided leadership for the organization taking overall responsibility for sales, marketing, and customer and partner satisfaction—creating Business Solutions based on Customer Relationship management, CRM , Sales and Marketing, Financial Services, and Field Operations platforms. In 2009, Anayda joined Microsoft as General Manager for Venezuela; in this role, she doubled the business in 5 years allowing the subsidiary to receive the Top Subsidiary award 4 years in a row. Before entering Microsoft, Anayda spent 12 years at Oracle carrying out different regional functions in all the Latin American area, allowing her to consolidate an integral vision of Business Solutions. Previously, she worked at Petróleos de Venezuela where she held positions related to Application Management, IT Platforms Administrations, and Project Management. 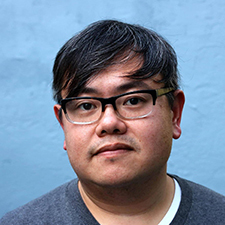 Ernie Hsiung is a developer and community organizer with interests in actual and virtual communities. He currently serves as a Technical Director for WhereBy.Us, Executive Director of Code for Miami, Inc., as well as Executive Director of CUTGroupMiami, a civic user testing group. Previously he was a software developer at Rackspace, and before that, a 2015 Code For America Fellow assigned to Miami-Dade County. In a past life, he was a well-known blogger featured in USA Today and Newsweek, was the founder of an online portal for Asian Americans, and was named a “20 Under 40” business leader by the Miami Herald in 2014. Mark Osterman is an artist and a museum education specialist. Mr. Osterman has a Doctor of Education with a research focus in arts, literacy, and technology. 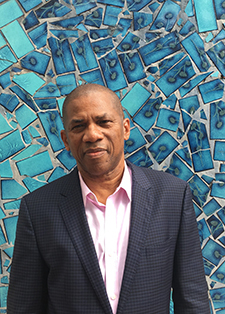 He has taught at Miami Dade College, facilitated specialized workshops in art educational theory and practice for UM, The Lowe Art Museum, and The Wolfsonian-FIU. He has presented nationally on technology in museums and art educational theory and research studies, and has published work in the Journal of Museum Education, and the Journal of Educational Multimedia and Hypermedia, among others. Mr. Osterman has worked for the Brooklyn Museum, The Museum of Arts and Design, The Wolfsonian-FIU. His museum work has focused on strategic thinking, interpretive technology initiatives, curriculum development, and developing evaluation and assessment tools related to museum practice. He lives in Miami Beach. For more information on Smart Cities Miami, contact us at Events.ARCH@miami.edu, or call 305-243-4962.
at the Moore Building, 191 NE 40th Street, Miami, FL 33137.